Jicama is crunchy, sort of like an apple and a turnip, but much milder in flavor. It is slightly sweet, low in calories and sugar and a great addition to any salad. It is also a perfect choice for dipping into hummus or with a little nut butter. So, can it help you lose weight? Because of its fiber content which can help you feel fuller and it has a low glycemic index which helps keep blood sugar in check. That means that you will not overwhelm your body with sugar to the point of storing it as fat when choosing this over some other high sugar fruits and vegetables. 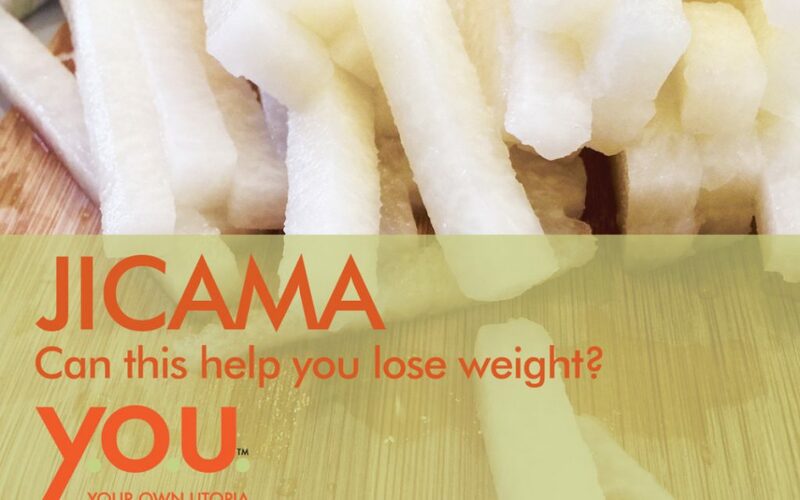 Dr. Axe has a great article about jicama here. Check it out next time you are at the market. It’s fun to eat too!